Today, as I was driving back home from an interview a particular church sign caught my attention. It wasn’t a clever play on words and it wasn’t a Bible verse either. 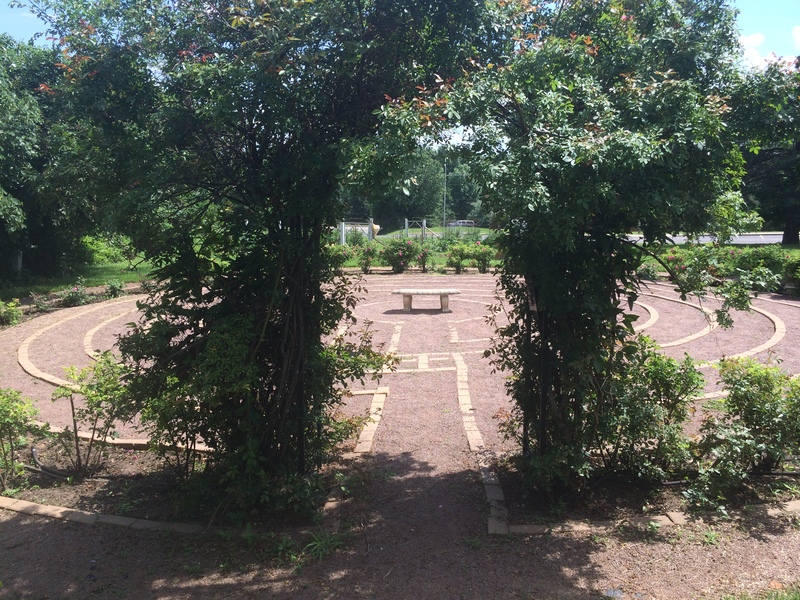 It simply said, “Come walk our labyrinth.” I was interested and briefly considered coming back another day, but then I thought, “Why not do it now?” So I decided to turn around and accept the invitation. 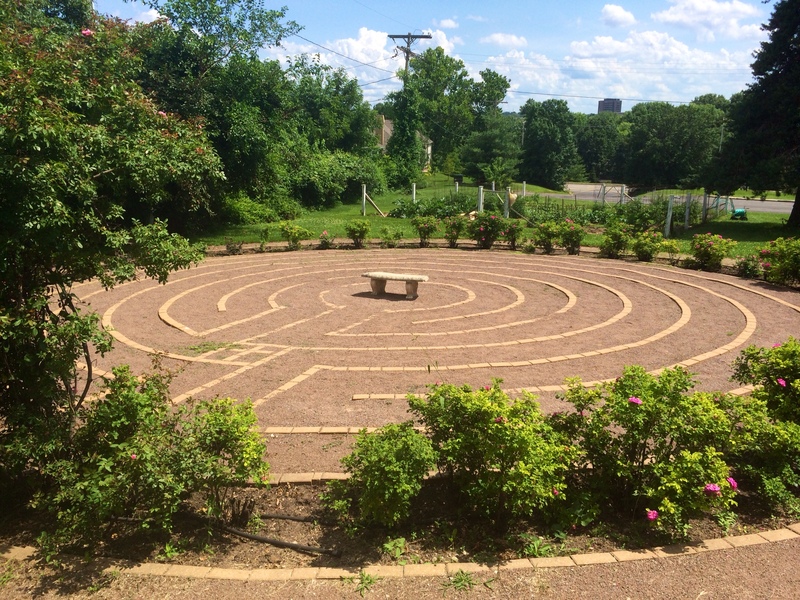 During my time in the Episcopal Church I learned a little bit about contemplative prayer and I remember learning a thing or two about the labyrinth. But I had never actually walked one. 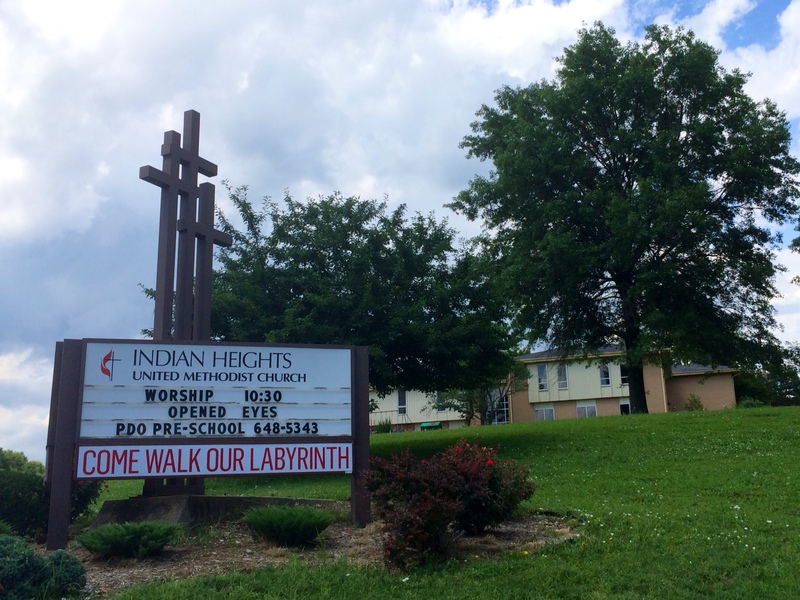 As I pulled into the parking lot of Indian Heights United Methodist Church, I realized I had no clue how to actually walk a labyrinth. I pulled out my iPhone and did a Google search for “walking the labyrinth.” I skimmed through the first few pages…labyrinths have been around for over 4000 years…contemplative prayer…set your intention…meditative walking…and so on. And then I wondered if this church had instructions on their website… Ta-da! Just what I needed, a detailed yet brief explanation of their labyrinth and instructions on how to use it. I read everything on the labyrinth page and I read the PDF guide, “How to Walk the Labyrinth.” I was ready to try it for myself. Walking intentionally is not easy. It feels unnatural at first. When I walk, I’m usually trying to get to my destination as quickly as possible. On the labyrinth, the practice is to do quite the opposite. Walking the labyrinth was a centering experience, physically and spiritually. As I made my way to the center, because of the way the path is arranged, there were times when I was closer to the middle and then closer to the outside. And isn’t that the way life goes? When I walked near the outside, the center seemed so distant, and yet I was closer to the perfume of the flowers along the perimeter. The sun was warm and gentle on my back, there was a light breeze every now and then, and I could hear the birds chirping and singing around me. I reached the center and felt engulfed with gratitude for the gift of a moment, for the respite of one breath. After a few minutes in the center, I made my way back out, at the same even pace with which I walked in. 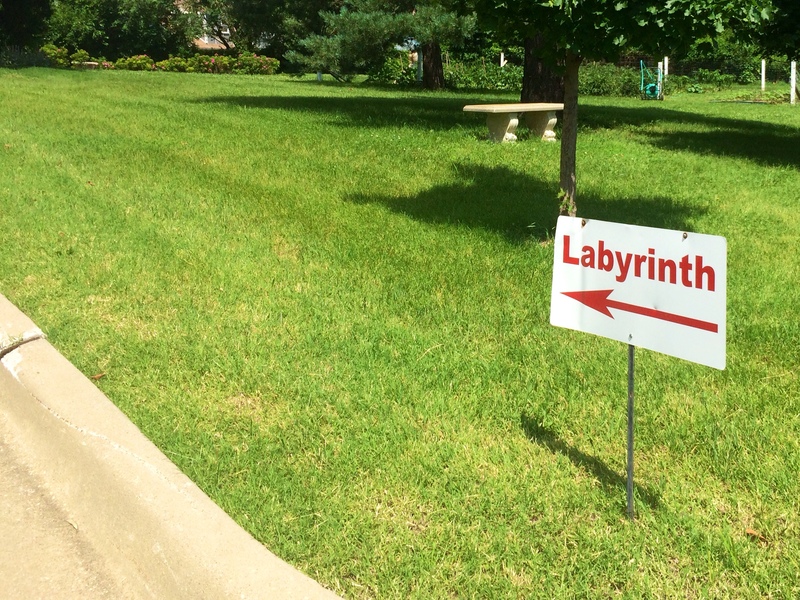 Thirty minutes after I had read that sign, “Come walk our labyrinth,” I was back in my car, on my way. But I was not the same. And all I did was accept a generous invitation. This labyrinth is a custom designed, seven-circuit pattern, based on the classic Cretan Labyrinth. YOU TOO CAN WALK THE LABYRINTH! The labyrinth is open to the public 24 hours a day, every day of the year. I invite you to read this and this before you visit. Max and I were talking about landscaping our backyard at one point, and how we could make use of rocks to make paths since there’s not much grass. I brought up that it might be neat to have a meditative walking path, using that for lack of a better term since labyrinth was on the tip of my tongue. I’ve seen these at metaphysical fairs and always been intrigued, and now that I remember the term “labyrinth” I want to go googling (and finding, and walking)! Thank you for sharing your experience.